Office Building Name: Treasury Office Tower at SCBD. Location: Senopati Raya No. 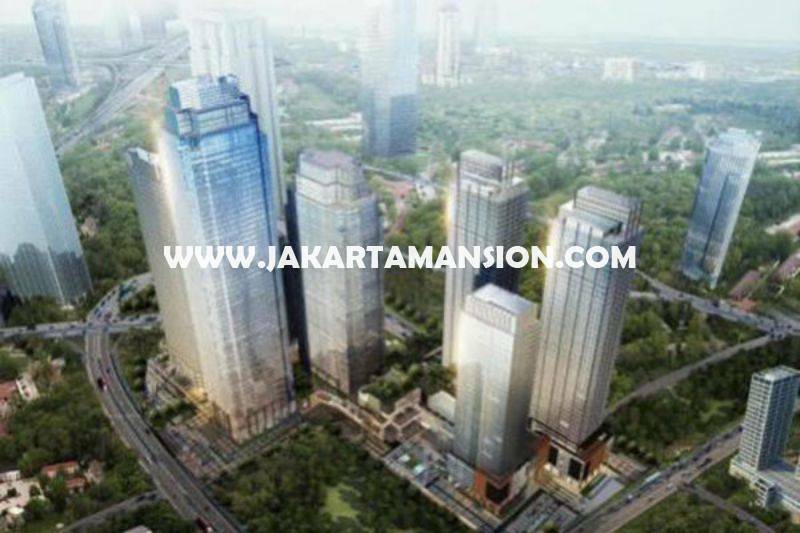 8, Lot 28 SCBD, Kebayoran Baru, Jakarta Selatan. 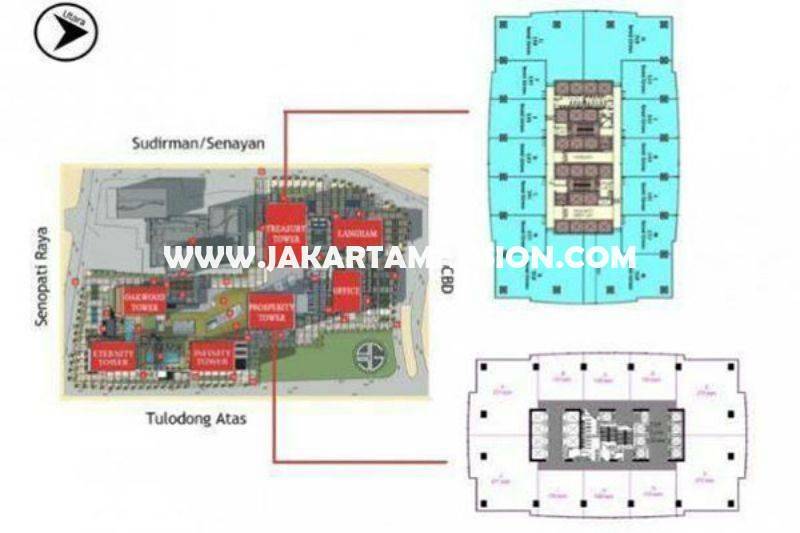 Floor/View: High Zone / View : City (Sudriman - Gatot Subroto). Size: 2.722 sqm (One Floor). Condition: Bare condition, brand new from developer. 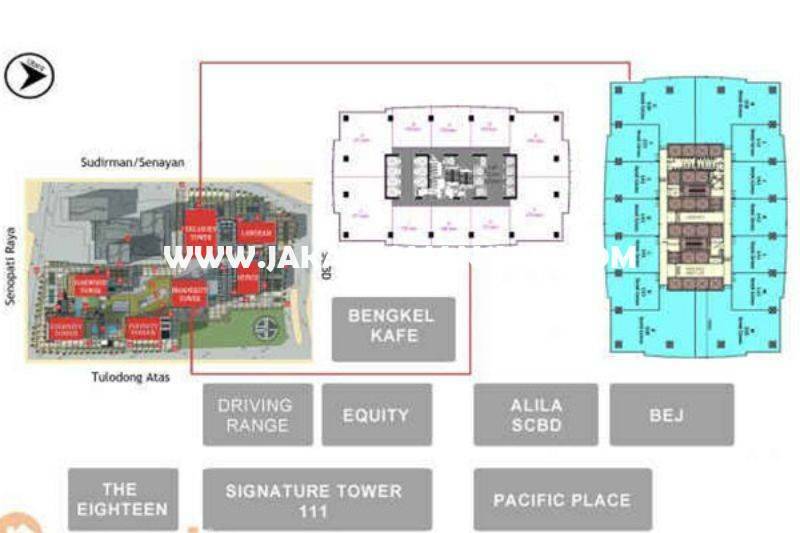 Facility: Luxurious lobby main area, Executive Private Lift, Smart System Finger & Card Access, Security & CCTV, Food and Beverage, Commercial Landscape, Sky Passage, Green Passage, Cafe, Supermarket. Additional Info: Prestigiuos address in Indonesia, strategically walking distance to SCBD (Pacific Place, Senayan City, Plaza Senayan, FX) Selling Price: Rp 55 Juta/sqm atau sekitar Rp 150 Milyar.